Always nice to get fast updates on something. 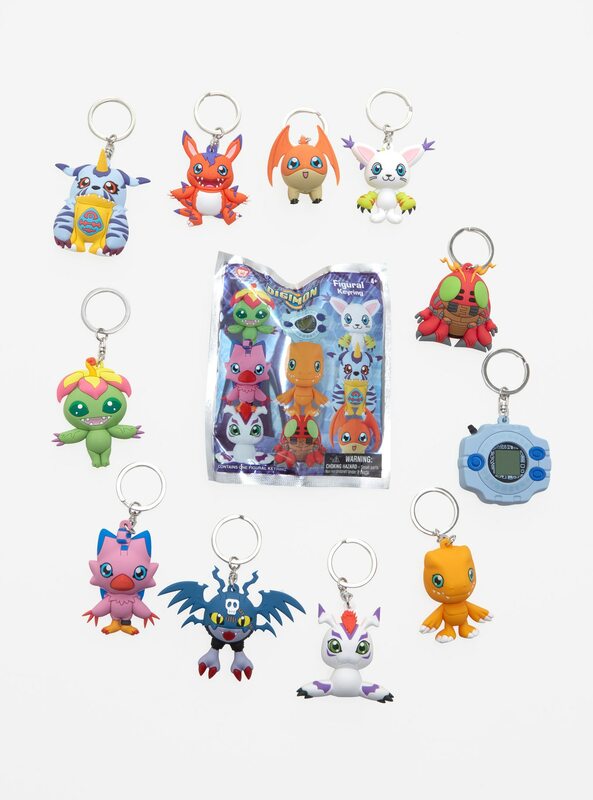 We already have a good preview of the Digimon Season 1 blind bag keychains/keyrings. There was some concern about how '3d' these were, and the video preview from Monogram themselves shows off all the keychains at various angles, making it easy to judge them properly. On top of that, they've shown up for sale! Hot Topic has them for $6.90 each (and 20% off with coupon HT20) and it's worth checking in store if you have one near you. Remember, the 11 designs all come blind bagged, so you won't know which you are getting. Thanks to pipefox_pedro for reminding me about these. Previous news and info for these keychains can be found here. I agree. But these still look nice. Thanks a lot. Demidevimon's looks great! I might buy one or two of them. Do we know if any other stores will sell these? Anyone know if theres a website that sells them keychains already opened? Oh, wow, poor Agumon! Everyone else looks great. Toywiz and Entertainment Earth are the bigger ones so far. Do a google search and you can find a few other shops that I can't vouch for. Unlikely. You'll have to watch Ebay. There are actually a few up already. 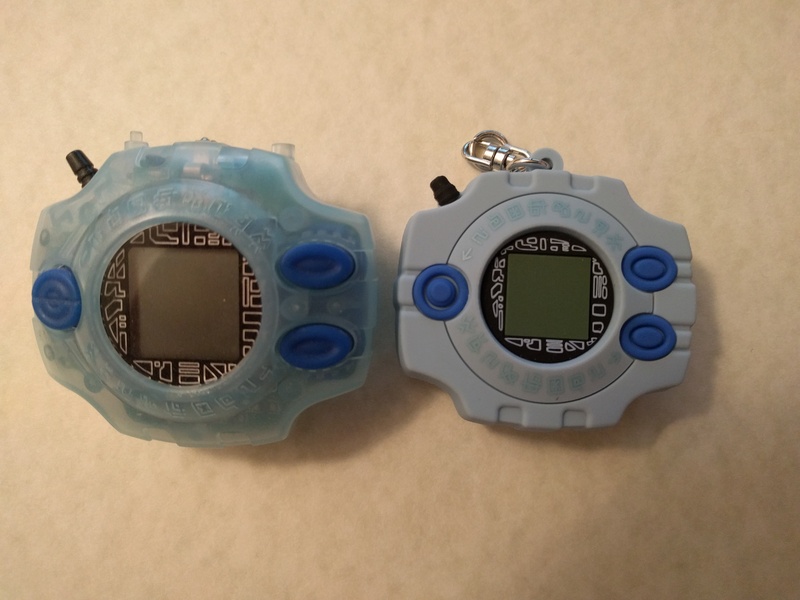 1 Agumon, 1 Palmon and somehow 2 DemiDevimon, which are both sold. If you can find them in store you can feel around for the one you want, which I can only assume is what the guy that sold 2 DemiDevimon did. I preordered a full box so I can give you a shout when they come in and I make the post. Please excuse the double post but I wanted to throw up a picture of the Digivice compared to the Electronic Digivice for those wondering. I would say that it is about 10% smaller. My ruler seems to have run off on me so I am unable to measure it. I'm sure I'll find it tomorrow, once I no longer want it. It's nice and solid, might actually weigh more than the Electronic Digivice.